Sadly we have to report the loss last week of Lindsay Cullen who died suddenly and unexpectedly at his home in Perth WA. Lindsay was a keen player and singer of bluegrass music since his time at university and was a mine of information on the subject. He also made instruments and although not hugely prolific, managed to produce some very decent mandolins which he named “Bing”, a nickname given him from early student days. His job as a geologist took him to many far-flung parts of the world but he always travelled with his mandolin and would usually find someone to accompany him on guitar in often quite desolate places. 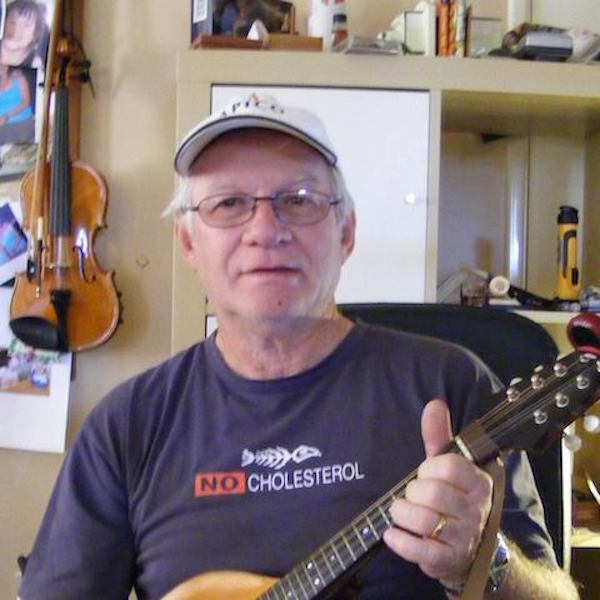 Lindsay will be fondly remembered by Perth based bluegrass musicians and those in Sydney who attended the BTCMSA in Annandale as always a genial, happy and generous person. He was just a genuinely nice chap and the world needs more like him not less. He was 66. His funeral is this Friday (15th March 2015) at Fremantle Cemetery. Lindsay was a bluegrass fanatic and an all round great guy and his enthusiasm and presence will be missed by all.